Conflict of Interest is a dirty little secret, that is rarely talked about, not acknowledged and for sure never admitted. Conflict of interest is a situation in which a real estate agent in a position of trust, has competing professional or personal interests that make it difficult for them to fulfill their duties to buyers or sellers impartially. A conflict of interest exists even if no unethical or improper act results from it. A Real Estate Agents Conflict of interest is never good for the consumer and should always be a avoided. Yes, it can be avoided...you have the power to make that choice. Every Real Estate Home Buyer and Home Seller of Real Estate need to hire their own Real Estate Agent so that they will receive Fiduciary Duties and not worry about a Real Estate Agents conflict of interest. Home Sellers need to choose an agent that will represent only them and not become a dual agent or transaction broker. Home Buyers need to choose an Exclusive Buyer Agency Real Estate Office for total Home Buyer Representation with no conflict of interest. Avoiding Real Estate Agent Conflicts of Interest is just good business...for everyone. 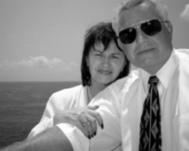 Copyright @ Buyers Broker of Florida 2012 "Real Estate Agent Conflicts of Interest". Orlando Buyers Agents says " the Seller is not my problem"
Orlando Buyers Agent or Orlando Exclusive Buyers Agent? Orlando Home Buyer Client or Customer? Good Article. That is why dual agency is so hard for one person to manage. Very nice job I will reblog this one to get you more exposure. I love the cartoon... Thanks for sharing. Diane: thank you for the kind words and the re-blog. The single largest investment most people will make, and only a relative few underdstand and appreciate the fudiciary responsibilities and therefore advantages that a Buyers Broker offers. No one would go to court with an attorney who was representing both sides of a legal issue, but too many people will use the same real estate professional as a seller. Understanding who is actually working for the buyer, and who is working for the seller is critical to being an informed consumer. Thanks again for your Blogs, I am passing them on to younger family members getting ready to make their first home purchases. "Undivided Loyalty" -- NO ONE gets that, and yet . . . it's so simple. UNDIVIDED LOYALTY is loyalty to the principal and it's not compromised -- DIVIDED. Your post is simple and to the point. Most people (consumers, clients, customers) don't have a clue that they can demand, and should demand, UNDIVIDED LOYALTY from their agent -- and representation that can not be "divided." But they have no clue. Amazing how the most biggest transaction they will make, and they set themselves up for less then subpar represenation. Mary: Thank you, I appreciate it. Carla: Wish I had thought of the "undivided loyalty"...good point. I wish single agency were a nationwide requirement. It is odd to me that both a buyer and seller would feel that they were fully represented when involved in a dual agency transaction. It is really nice when an agent understands what is not in the best interest of the consumer...thank you for your comment. Every realestate transaction that involves an agent is conflict of interest. Fact of the matter is we donot need a middleman in this transaction, an agent adds no value to the transaction. Same issue with home inspectors referred from the selling agent. The agent is working in best interest of seller. Home inspector works in best interest of buyer. We hired a realtor and rec'd many offers. The offer we accepted dragged on for 3 plus months. There were many strange requests from our realtor and we wondered who he was working for. It wasn't till later that we discovered the buyers realtor was our realtors spouse and she was calling the shots. They ended up de-listing our unsold home and now they say we're still under contract with them till end of May and if we sell the home they still expect their commission. Also the date on the listing contract show an expiry date of May 2015...not 2016 as it should have. Do you have any comments on this ugly situation? Yes, it can be a secret, even by CA law you have disclosure your interest.